Bombay High Court recruitment 2019 for Sr. System Officers and System officers posts. There are total 199 posts which are going to be filled up through this High Court recruitment process. An official advertisement had been published by the recruitment department of Bombay high court on their official website. We also took the whole information related to these High court jobs from that PDF file only. To know more you should read the full advertisement carefully or read this job posting carefully till the end before applying online. The Link for applying this high court recruitment process will be active on 12th Feb. 2019. So all the eligible candidates can apply online after this date. The Link for applying these job will remain activated up to 26th Feb. 2019. So if you satisfied the following eligibility conditions you can to apply online between these dates. Pay Band: Rs.46,000 per Month. Pay Band: Rs.40,000 Per Month. Having one of the following degree: “B.E./ B.Tech. In Computer Science/ Engineering/Information Technology/Electronic Engineering” equivalent qualification from documented University with five-year experience. B.E./ B.Tech. In Computer Science/ Engineering or Information Technology or Electronic Engineering or equivalent qualification from recognized University with one year experience. (OR) MCA (OR) equivalent qualification from recognized University with one year experience. Age Bond: Applicants must have the age less than 40 years for applying this Bombay High Court recruitment process 2019. 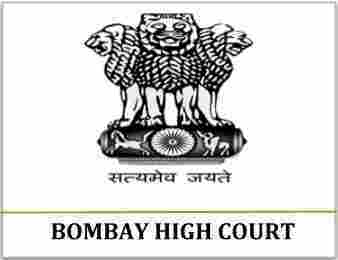 Applicants have to pay the ZERO application fee for applying this Bombay High Court Recruitment 2019. 12TH Feb. 2019 is the Start Date to Apply. 26th Feb. 2019 is the Last Date to apply.